Are you looking for a quick setup to photograph a group of individuals? Perhaps you only have a few minutes to set up and need a consistent look across all your subjects. Well, then this single light high key setup should be part of your lighting library. 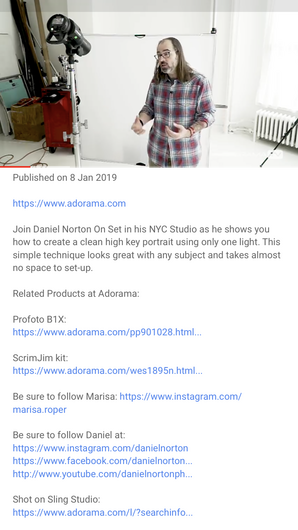 In this video by Daniel Norton, he demonstrates how a simple setup of one strobe, a diffuser, and a white background can be used to give a high key look to your photos. By keeping the setup simple, he’s able to get consistent images even if the subject moves or isn’t in the same spot for each image. This can be very beneficial when shooting a group of individuals at a quick pace. What comes to mind for me and this setup is shooting younger children that are part of a team or an organization where you need to shoot 20 to 30 kids quickly. It permits the kids to move a bit while you photograph them without being too concerned with harsh shadows and hot spots. With the minimal amount of gear needed and also the ability to set up in a small space this approach also lends itself to those quick "get in and get out" type of shoots that we all seem to experience from time to time. I don’t believe this setup is an equivalent substitution for a high level high key type of photo shoot, but for a quick approach, I think it is a great way to go. This was a great video for amatuers! Breaking into the studio/lighting scene is not something I've done yet but this was a simple fantastic way to learn some basics. Thank you Mr. Norton and Mr. Turney. 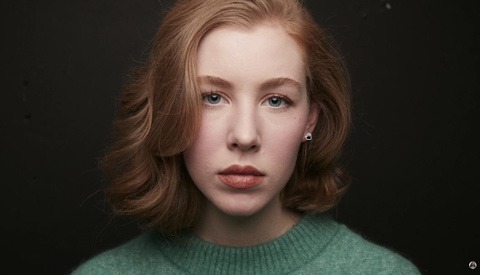 Wonderful model too - her symmetry is without equal. I've watched several of Daniel's videos on YouTube. I like his work and he's pretty down to earth in his delivery. Pleasant to watch and learn from him.